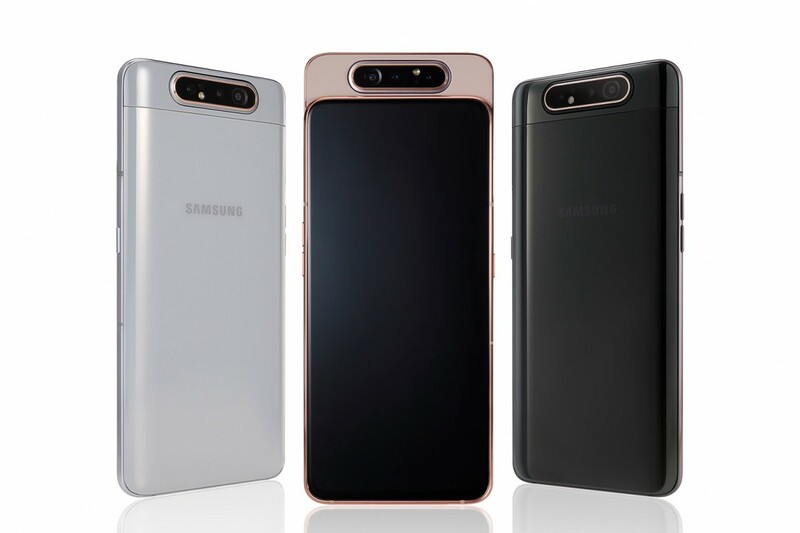 Samsung Galaxy A80 Officially Unveiled: Specifications, Features and Price - Playfuldroid! Through an unveil event yesterday, Samsung announced the Galaxy A80 smartphone. The USP of the phone is that it is equipped with a rotating triple camera setup on its slider. It is equipped with a massive display and it is the first phone to be powered by Snapdragon 730 chipset. The Galaxy A80 comes with a 6.7-inch Super AMOLED display with notch-less display. It carries support for full HD+ resolution of 2400 x 1080 pixels. The 8nm Snapdragon 730 chipset powers the smartphone along with 8 GB of RAM. It has a native storage of 128 GB. For more storage, there is a microSD card slot on the device. The Android 9 Pie OS with One UI skin from Samsung comes loaded on the device. There is no selfie camera on the phone. When the slider rolls ups, its rotating triple camera module appears in front for capturing selfie shots. The triple camera module of the phone includes a 48-megapixel primary sensor, an 8-megapixel ultra wide-angle lens and a 3D ToF sensor. The 3,700mAh battery of the phone supports 25W rapid charging through USB-C. In Europe, the Samsung Galaxy A80 will be selling with a price tag of 649 euros (~$730). Its sales will begin on May 29. The smartphone will be available in three colors like Phantom Black, Ghost White and Angel Gold.